When it comes to a Law Firm Portal (LFM), a lot needs to happen that goes beyond the simple document collection for qualified clients. Technology has become essential and has a significant effect on the success of a given agency. An agency must maintain a recordkeeping system so that client files, electronic or a combination of electronic and paper, can be reviewed and the annual activity data for the agency can be verified, reported and analyzed. Agencies who use the right technology to manage cases have been able to more than double or even triple their productivity. Work Flow : Agencies can have customized work flows based on the business processes specific to the Agency rather than adjusting to the LCMS built in work flow. 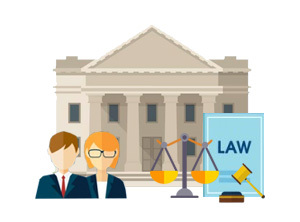 Agencies can have varying process types to handle any type of case such as loss mitigation, bankruptcy, etc. Time Spent : The LCMS tracks at each task level the time spent to complete the task and has clear accountability throughout the overall process which can be directly reported to upper management. Going green : The LCMS stores electronic documents sent by homeowner’s to agencies. It also stores documents that are sent to the servicer. Documents can also be printed any time if required. Intake and Lead Management : The LFM allows the marketing team to directly create the intake of clients and then once they are eligible, can have them sent directly to the compliance department. Payment : The LFM captures various methods of payment including credit cards and more while also handling routing verification. Digital Signature : DocuSign has been completely integrated with LCMS and auto populated documents can be sent directly to the clients with one click. Document Management : The Law Firm Portal generates auto populated versions of various government standard forms such as Form 710, 4506 –T form and 4506-EZ form etc. and servicer specific forms. These forms can be edited before sending if required. Integrated fax numbers and emails : Using the LFM, agencies can send Fax and email to respective stake holders such as a client, servicer or any other party involved in the case management workflow process. Direct to consumer portal : Clients can submit the application from the portal if necessary or the agency can have the client send the information after the case is created for internal completion. Additional Features : SMS or email notification to clients with updates to the case including payments etc, property address validation is also available.